September 9, 2016 marked the 5th annual United Front for Peace in Prisons (UFPP) Day of Peace and Solidarity. We shared some initial reports on events in prisons in the last issue of Under Lock & Key and here we include additional reports we've received since that publication. "During the Sept 9th demo I went on a food strike. I didn't eat from Sept 6th thru Sept 10th. I am trying to collect all accurate, fact-based materials on Attica and other prison uprisings in Kentucky and the world." As we start to build unity it's important to keep educating ourselves, and then sharing that education with others. A comrade in Arkansas wrote about eir work in this regard: "I'm writing in hopes to receive material to help myself and a fellow prisoner join the movement and fight back against these pigs! My political level is low and I don't want to keep falling victim because of my lack of knowledge. Please send me information to start on. I tried to get people to unite on Sept 9th but most everyone is content to stay slaves. I know as I grow in knowledge I'll be able to use my skills to motivate people to see through this fog they have us in." "Organizing and forming the rightly guided alliances on SNY [Special Needs Yard] facilities is extremely difficult to do when lumpen organizations as well as potential comrades are into putting individual works in. Papers are submitted to be put on a grade scale. The fact that Legion is a single-celled organism shows and proves that the LO and proletariat are not studying the material given. Control, sanity and awareness is a matter of vantage when looking at the goals. Some comrades aren't ready to move beyond milk from the breast. "Prime example last year the Gods did AEH to build the builders strong at Kern Valley State Penitentiary. The 2nd year with more bodies was thwarted by personal ambitions of a group of parasites who don't understand UFPP or USW [United Struggle from Within] goals. Organizing is painstaking and the devil is in the details. As God Body we have to start from square one all the way right. Then and only then can one do what's left." "I'm writing you this brief report on what i've done during the month of 9 September 2016. To commemorate the 5th annual Day of Peace and Solidarity here I put together a few articles on Weusi Agosti (Black August), regarding significant events on how and why Weusi Agosti came into being. "So, this 5th annual Day of Peace and Solidarity, we work to build unity in these prisons to ensure no more violence that has consumed so many lives. And also, we commemorate those who stood up against those violent forces and sacrificed their very lives. "I am more than happy to report that there was no prisoner-on-prisoner violence whatsoever the whole month. And continuing the prisoner unity and peace here came out of organizing these articles and the conversations I held with these youths. They overstand." Further successes were reported in California and Michigan in the last issue of ULK and in South Carolina and Virginia in the two articles on this page. It's a long road to fight the divisions set up by the criminal injustice system and build unity between populations that Amerikan imperialism does its best to keep divided. But all change takes place in small quantitative ways at first, leading to big qualitative changes as conditions develop and all that history of building really pays off. Our strategic confidence comes from organizing around what we know is in the interests of the oppressed. At some point the subjective forces against imperialism, including the vast U.$. prison system, will rise to be the dominant force. It is our job to study, build and get organized so that we are ready to seize the time. Organizing in other states around September 9th seems to have triggered censorship of ULK in California. Chuckwalla Valley State Prison censored issue 51, which was the last issue before September 9th calling on people to organize something for that day to promote peace and solidarity. The original reasoning was that it "contained Disturbing and Offensive content in the entire publication." Upon our appeal, the warden upheld the decision and specified that it was the article on page 1 that ey felt was inspiring a work stoppage. California Health Care Facility was the other facility that notified us of censorship of issue 51 for posing a threat to the facility, but we have not received a response to that appeal yet. We also received word from some comrades at Kern Valley State Prison that they did not receive ULK 51, but no notification of censorship has been issued. Outside the realm of the California Department of Corrections and Rehabilitation (CDCR), we also had problems in Orange County last month. Orange County Jail and Theo Lacy both returned ULKs saying prisoners were not there, when some of them are still in custody. While the same laws apply to county jails, we must come up with tactics to address them in addition to CDCR. "Bayview is currently under Division of Adult Institutions review for all issues, to be placed on the list of Dissapproved Centralized list. [sic] If a publication was received with your name on it then you would have been issued an 1819, so if you haven't received an 1819 then you haven't received a newspaper. MIM Distributors is also under review by DAI to be put on the Centralized Disapproved publications list." MIM Distributors mail was banned by CDCR in 2006, until a Prison Legal News lawsuit was settled in 2007. The ban contined to be utilized until 2011, and effectively cut us off from most California prisoners for 3 or more years. Since then censorship in California has been relatively low (though certainly not non-existent). We cannot afford to lose access to our comrades in CA again. So please be vigilant in appealing censorship and sending us updates. They do not have any basis for a systemwide ban according to their own rules, but as we know there are no rights, only power struggles. So keep up the fight to freely associate with MIM(Prisons) and others on the outside! This 2016 election season we heard many people likening Trump and eir proposed policies to fascism. Here we look at statements and actions that ey made, identifying fascist elements, while also going over what else they could be. First, let's review what fascism is - from MIM's "Definition of fascism" (which draws information from Dimitrov's report to the 7th world congress of the COMINTERN and Dutt's Fascism and Social Revolution), fascism is "the open terroristic dictatorship of the most reactionary, most chauvinistic, and most imperialist elements of finance capital." Further, fascism is "an extreme measure taken by the bourgeoisie to forestall proletarian revolution... the conditions [which give rise to fascism] are: instability of capitalist relationships; the existence of considerable declassed social elements; the pauperization of broad strata of the urban petit-bourgeoisie and the intelligentsia; discontent among the rural petit-bourgeoisie; and finally, the constant menace of mass proletarian action." So basically, if the capitalists feel like they are going to lose their money deals, if mass amounts of the petit-bourgeoisie suddenly find themselves impoverished, and there is significant fear of actual proletarian revolutionary action, these are conditions that give rise to fascism. With this in mind, let's look at one of Trump's more popular proposals — to build a wall on the U.$./Mexico border to physically keep people from crossing over into so-called United $tates territory. Trump believes immigrants from Mexico impose a threat to the job economy of the amerikkkan labor aristocracy, and also that they are not amerikkkans and don't belong here. Following the guidelines laid out above, the building of a wall could fall into a reactionary action taken to counteract the threat to the labor aristocracy; keeping the amerikkkan "working class" safe and happy to prevent discontent and ensure that there is no declassing or pauperization. However, it's more accurate to consider the idea of a border wall to fall under extreme racism and isolationism than fascism. Trump claims that amerikkkan people are better at making money and working than those who might come over from Mexico, and ey wishes to keep things contained within eir own walls than to bring in people from the outside. A similar example of Trump's isolationism can be found in eir ideas to keep production and trade local rather than global. Ey believes that trade with other countries is stealing jobs from people here, and that people here can do it better anyway. A more fascist way of handling this would be to allow trade with other countries as long as it proved opportunistic and beneficial (which it does for the U.$. financially). Next, we can look at Trump's ideas about "destroying radical Islamic terrorist groups." To make such a statement is highly chauvinist and reactionary, though it is not in response to something ey believes could topple the government. It is more of a show of force both internally and externally. Again, here we see extreme racism — Trump is further bolstering the "us vs. them" mentality that is already prevalent in much of amerikkkan society, identifying a group of people as the other or bad, and rallying people around that idea. A more fascist example of a similar act is the raids, arrests and murders committed by the pigs towards the Black Panther Party (BPP) and other revolutionary nationalist groups in the 1960s and 70s. The BPP was a highly organized group with significant popular support among the New Afrikan nation and it was enough of a threat of revolutionary action to warrant direct reaction. The imperialists felt enough pressure from the BPP to publicly act outside of their established laws to counteract that pressure, though much public opinion was on the BPP's side. The attacks against nations that are primarily Islamic is imperialist aggression that has been the war cry of Amerikan imperialists for years now. The biggest thing to take away from this is the understanding that Trump's actions are often not fascist because they do not need to be. Ey is not facing any of the triggers mentioned in MIM's "Definition of fascism" at the moment. There is no internal revolution rising, nor is there fear of pauperization of the bourgeoisie. Trump for the most part is what we would call an imperialist, as ey seeks to systematically and internationally oppress some groups whilst bolstering others. That being said, based on Trump's statements and actions, if Amerikan capitalism was truly threatened by the oppressed internal nations, Trump's open chauvinism would easily transition to far heavier fascist tendencies. We don't support or uphold the current U.$. political process as a viable means for the liberation of U.$. internal oppressed nations and semi-colonies. Bourgeois politics work for the imperialists and the bourgeois class. However, assessing the current election cycle provides a glimpse into the social dynamics of U.$. imperialist society. It allows us to gauge the level of parasitism and privilege that is generally characteristic of First Worlders. In short, we can better clarify who are our friends and enemies as well as determine what actions we need to take in order to push the national liberation struggles forward. This presidential election season we saw very deliberate rhetoric that contains elements of fascism. Huge numbers of Euro-Amerikans have shown unshakable support for Donald Trump's idea of how to "make amerika great again." Trump has made it explicitly clear that ey despises Mexicans. Ey advocates for extralegal violence against people of color, particularly those individuals who had the audacity to exercise their "right" to protest Trump's racist, hateful campaign. And Trump's view and treatment of wimmin, while not surprising, reaches a new low in gender oppression. To put it succinctly, Trump represents more than working class jobs for Euro-Amerikans, who feel that Amerika is changing for the worse. Ey is offering them a vision of payback and retribution for all the perceived slights and humiliation that Euro-Amerikans have endured in respect to their place in U.$. imperialist society. Needless to say, a Trump presidency would have serious consequences for the climate and space for organizing for liberation within the United $tates. Opposing Trump was Hilary Klinton, who may check all the boxes for "minority" support, but will continue along the same path as Obama. Likely, ey will be even more hawkish and ready to engage militarily to defend empire. MIM(Prisons) responds: The recent U.$. presidential campaign had a lot of people reeling over whether Clinton or Trump is more of a fascist. So we decided to have our special election issue devoted to the question of fascism as MIM(Prisons) sees it. We don't completely agree with the author's analysis above, which we hope to explain further in this article and throughout this issue of ULK. In order to analyze fascism, a study of historical materialism and dialectics is very helpful. (1) Capitalism is characterized by the contradiction between the bourgeoisie and the proletariat. Imperialism is an escalated form of capitalism, and Lenin analyzed imperialism as the highest stage of capitalism. So imperialism has the same fundamental contradiction as capitalism (bourgeoisie vs. proletariat), but it is on an international scale and the world is divided into oppressor nations and oppressed nations; it is also divided into exploiter countries and exploited countries (which are not parallel divisions). When the proletarian forces (the secondary aspect of this contradiction) grow in strength and overcome the bourgeois forces, then the economic system will change from capitalism to socialism. We saw examples of this movement towards socialism in the early-to-mid 20th century across Africa, Latin America, and most of Eurasia, with solid socialist states established in the Soviet Union and China. In response to the spread of socialism, the imperialists committed coup d'etats and backed the installation of fascist leaders in several countries. 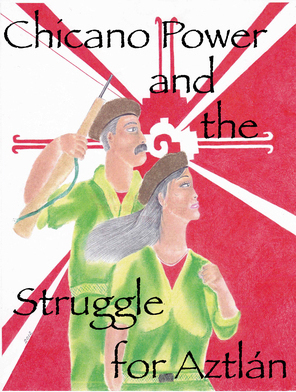 We can see that the proletariat defeating the bourgeois oppressors is not a simple process. As the antagonisms between the proletariat and bourgeoisie (and all the inherent sub-classes of these two groups) increase, humyn society reaches a fork in the road. This is called the unity of contradiction. Humynity will be at a crossroads between socialism and fascism. At this point, the secondary aspect (the proletariat) of the fundamental contradiction of capitalism may overcome the dominant aspect (the bourgeoisie), but if fascism grows in strength and popularity, this is a clue that the socialist and proletarian forces are losing. If the communists are doing a good job in their work, then we should see more economic systems turning toward socialism. If they are maintaining those successes well, with cultural revolutions as we saw in China under Mao Zedong in 1966-1976, then we can expect those successes to evolve toward communism worldwide. Fascism is a form of imperialism, and so this means fascism is a form of capitalism. Fascism is the final attempt for the bourgeoisie to remain the dominant aspect in the contradiction between the bourgeoisie and the proletariat. As the proletarian forces become stronger, the imperialists go to even more extreme measures to protect their beloved economic system. To say we're in a fascist scenario now, or we're moving toward fascism, is to overstate the strength of the proletarian forces in the present day. Fascism is enhanced imperialism, so it's natural that we would see some elements of our current imperialist society appearing more like fascism than others, even if we haven't moved into fascism as an overall system. The imperialists want to protect their economic interests, but actually any imperialist who's good at eir job is a bourgeois internationalist and would put off moves toward fascism until absolutely necessary. It's a more difficult system for the imperialists to maintain. The mass base that historically pushes for fascism the most, to protect their own material interests, is the labor aristocracy. Living in the United $tates, surrounded by labor aristocrats, our primary task as communists in the First World is to combat labor aristocracy denial. The more that people believe themselves to be oppressed by "corporate capitalism," when actually they are benefiting immensely just from living within these borders, the harder it will be for us to fend off fascism. One of the myths of fascism is that average Amerikans would suffer under it. That's not actually the case — average Amerikkans would benefit from fascism just as they benefit from imperialism. It might be a little less convenient to consume than we do today, and some liberal privileges may be curbed for the "greater good," but the wealth acquired by the labor aristocrats would still be an extractive process; extracted from the Third World where the United $tates already exercises a much higher level of imperialist brutality more closely resembling fascism than what is experienced in this country. So how does Trump v. Clinton fit into this dialectical analysis? Capitalism is characterized by a class contradiction (bourgeoisie vs. proletariat), yet the principal contradiction is nation. So a lot of this question of how the U.$. presidential race fits into the question of fascist development in the United $tates rests on how the national contradictions interact with class contradictions. Except for a very small minority, on the whole people in the First World are aligned with the bourgeoisie. And this includes oppressed-nation internal semi-colonies. Even organizing among the oppressed-nation lumpen, one of the most oppressed groups in U.$. society, we still see a lot of loyalty to empire. While this election itself was not much different than other elections, Trump's rhetoric increases antagonisms along national and gender lines, which encourages the openness of these sentiments in general society. Male and white chauvinisms already belong to capitalism and imperialism, so an increase in these sentiments aren't necessarily a move toward increased fascism. In this case, Trump's sexism is just a fluctuation within the realm of imperialism. Clinton's election rhetoric (not to be confused with eir practice) was not as antagonistic on national or gender lines. Eir political practice is of course different than eir rhetoric (as with any politician for as far back as this responder has studied). Clinton and Sanders are more avid supporters of the labor aristocracy's interests than Trump. Clinton and Sanders favor a $15/hour minimum wage, union organizing, etc., where Trump wants to gut worker protections in favor of the capitalists. Trump's rhetoric is not bourgeois internationalist. Ey promotes an "isolationist" position, meaning ey wants the United $tates to isolate itself from the rest of the world. (In practice it is unlikely that the Republican party would actually carry out isolationism at this point in time as imperialist profits come from internationalist plunder.) Trump doesn't support the TPP or NAFTA, whereas Clinton is more of a bourgeois internationalist who does support NAFTA and did support the TPP until it became inopportune for eir campaign. Clinton has more of a geopolitical interest in eir presidency. Trump panders to Amerikkkans' national interests. Ey doesn't pander to the imperialists. Clinton panders to both the U.$. labor aristocracy and imperialists' economic interests. How do the national contradictions within the United $tates interact with the international class contradiction (proletariat vs. bourgeoisie)? In other words, we know the Amerikkkan labor aristocracy is pro-fascist in its core, but how would the oppressed nation internal semi-colonies fare? If Trump's leadership increases antagonisms between the oppressor nation (Amerikkka) and the oppressed internal semi-colonies, then that would be reversing a lot of the assimilation that has been so important since the 1970s in quelling legitimate uprising of the people in this country. This may be why the republiklans were apprehensive of supporting Trump. They remember (if not persynally then at least historically) how important this assimilation has been to maintain their nation's political power. They don't want Trump to disrupt that stability. If Trump's rhetoric is dividing the labor aristocracy (along national lines), undermining the integration that helped Amerikkka keep power coming out of the 1960s, this is likely actually bad for the bourgeoisie and bad for capitalism. It reduces the amount of support that the imperialists might enjoy in hard times, because Trump alienates the oppressed-nation bourgeois-affiliated classes. With more racism, there would be more national oppression, and the oppressed-nation bourgeois classes would likely become targets of the fascist elements. This would align the oppressed nation internal semi-colonies more with Third World struggles. The bourgeoisie doesn't want to make more enemies unless it has to, especially domestically. So this question of "what about the oppressed nation labor aristocracy?" is parallel to the question of integration and assimilation that we deal with every day in our work already. We see lots of integration but we also see lots of national oppression. It's hard to predict how the oppressed nations would fare under U.$. fascism, but at least some classes, and likely some entire nations, will be subject to fascist oppression. In reality today we see the strongest expression of fascism in Third World countries where the United $tates supports or actively installs dictators to put down popular uprisings. A good example of this would be the Pinochet dictatorship in Chile, which was brought to power by a U.$.-backed coup in 1973 after the popularly elected government led by Salvador Allende began implementing too many anti-imperialist policies. Pinochet's government banned all leftist organizations and arrested, murdered, tortured and disappeared tens of thousands of Chilean people who expressed or acted on disagreement with this imperialist-backed fascist dictatorship. There are similar examples in other countries around the world where activists, especially communist organizations, gain significant footholds and Amerikan imperialism then steps in to help fascist governments come to power to suppress this popular uprising that threatens imperialist profits. People who rally around anti-fascism but not anti-imperialism will do little to liberate oppressed people in the United $tates or around the world. Capitalism is the economic system that makes exploitation and oppression possible, and we need to oppose all forms of capitalism, whether in its highest stage or on steroids. 1. MIM(Prisons) distributes several essays on the topic of hitorical and dialectical materialism from Marx, Engels, Lenin, Stalin, and Mao. We also run a correspondence study group that studies the essay "On Contradiction" by Mao Zedong, which looks in-depth about how all contradictions interact with each other, and how history and societies develop. I am writing to inform you of the most recent form of retaliation. As I have written in the past, I have been fighting the Nevada Department of Corrections (NDOC) over a number of issues. Two issues are now in the courts, but one deals specifically with the racist, homophobic, sexist and all around disrespectful actions of two pigs here at Ely State Priosn (ESP). SCO Mullins, and CO Wheeler. In February these officers searched my cell for four hours. They broke all my appliances, tore and threw away almost all of my books and other materials relating to communist thought. They have repeatedly gotten on my intercom and talked down to me, have called me a "commie pig," a "red", and nicknamed me "USSR." I doubt they know what communist thought is, more their ignorance allows them to utilize it as a tool of harassment. ESP started allowing porters on 1 October 2016, the first since 2003 I believe. (ESP is locked down). Well my cellie and I got the porter job. We worked for 17 days. The first time we worked with SCO Mullins, we were fired and written up for making threats towards officers. Which did not happen. My cellie and I were moved from our cell, but to another room in the same unit! Despite our many claims of harassment. All the harassment has been a direct result of our fighting the NDOC in relation to its use of racial segregation in housing, its use of the paging system for the law library, and the grievance process. As a result of these false allegations, my cellie and I are now removed from the transfer list. I am looking at up to two years in the hole. My cellie will lose up to 3 years of good time (I have life without) so he will have to do 10 more years, instead of 7 more, and neither of us may ever be able to leave ESP. This officer thinks he has won. However, all he has done is strengthened my resolve to fight harder. I would appreciate any information regarding case law dealing with retaliation that you or incarcerated comrades may have. MIM(Prisons) responds: We applaud this writer's resolve to continue the fight in the face of very real consequences to eir work. Additional years in prison and long-term isolation are serious outcomes that will cause many to give up the fight. Even more, this comrade is doing the right thing by writing about eir experiences to expose the injustice, and reaching out to others for support and help. This sort of oppression can be an opportunity to organize and educate others. But the resulting isolation of course means limited ability to organize people. We invite our readers to share suggestions for this comrade. Having studied for almost 3 years with Maoists such as your organization and others more militant behind enemy lines from every racial group, and in three different hell holes, I have changed my position from Naturalist/Nationalist to Socialist/African Socialism. As a member of the Nation of Gods and Earths I was always unconsciously leaning that direction. What helped me come to my senses was the article, "Approaching Conflict More Scientifically", and the diagram entitled "Strategies to Address Conflict; Don't Bargain Over Positions." (ULK Sept/Oct 2016, No. 52, p.10) As the facilitator of the Gods and Earths weekly civilization classes on this yard I was able to Born many other Gods with the light you sent to me (ULK Jan/Feb 2016, No. 48), now we all are building on socialism in its many forms. As a soulja who's been on both sides of the prison lines (both mainline & SNY yards) I can see the AEH becoming a reality on any yard where the captive population challenges the 'role playing and behavioral norm' assigned to them under labels and stereotypes as their identity by their oppressors, i.e. the prison institutional workforce. Dr. Phillip Zimbardo explains and defines the psychological forces that create both prisoners' and guards' personas, mentalities and overt behaviors. In his book The Lucifer Effect and his case study entitled the "Stanford Prison Experiment." Men on the SNY lines can easily see the roles they were forced to breath life into on the main line, prison politrics created and reinforced by the guards. One stark example being 'racially segregated cells.' This is the divide and conquer way of rule and abuse. Created Problem Resolution (CPR) is one of their oldest control tactics. It works by choosing one lumpen group to allow to operate an illegal enterprise, which they themselves later become the supplier and major beneficiary of, while being biased against the other lumpen groups to lesser or greater degree depending on economical incentives or the old racial motivations. SNY lines are more integrated and afford captive populations the opportunity to be united on so many levels unrealized so far. 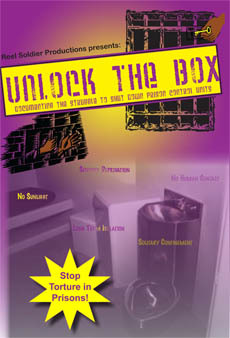 This is a place where the AEH can be realized if only the image of prisoner changes in the minds of those in captivity. Universal cultural education programming is needed. UFPP and AEH principles are being practiced by me and other comrades across racial lines on this yard. Though small now, we are struggling to grow. MIM(Prisons) responds: Class consciousness is something that Marxists often talk about. For the imprisoned lumpen, understanding how the injustice system works to oppress groups of people, and understanding one's own role in that system is the class consciousness that is necessary to develop for a meaningful prison movement. Building the Agreement to End Hostilities and the United Front for Peace in Prisons must be a daily activity for comrades in California prisons. This comrade speaks to the many openings that are being created, and to eir own ideological transformation through struggle and study. This is the stage of struggle that we are in, and we hold up as examples comrades like this who are leading the regular educational programs and dialogues on the yard that are necessary to reach higher stages of struggle. I am writing with a texa$ prison medical copay update. Here on the Alfred D. Hughes plantation, the medical department's Senior Practice Manager Valencia Pollard-Fortson's attitude is that every procedure is a valid charge. Aspirin, bandaids, blood sugar checks, clipper shave, whatever. You're going to be charged $100. Her idea is if you charge 10 people a day for sick call, that's $900. Because only one will do the paperwork for 90 days to get his money back. Now they've gone a farther step. In Ad-Seg/SHU building, we cannot buy fingernail clippers off store. To be caught with a pair is a major offense. We have to submit a sick call request to medical to trim our nails. Even diabetics who must keep toenails trimmed. Well, that sick call costs $100. Say January 1st you go to medical for chronic care. It's charged $100. Then you go January 15th and again January 28th. You file a grievance Step One with medical about copay of January 1st. It's denied February 10th. You file a Step Two appeal to Regional Medical Supervisor. It's granted March 13th. Your monthly invoice will not show up until April 15th showing March 13th $100 was refunded for medical copay of January 1st. BUT a new charge for January 15th appears and the $100 is taken on March 13th. You start all over again, stretching out for months just like I'm doing now on a charge from March 2016. These pigs are determined to keep your money. MIM(Prisons) responds: There are many tactics the state uses to enact medical neglect, and to create and exacerbate long-term health problems for prisoners. In some states they just throw the sick call in the trash. But in Texas they are frustrating people using the financial angle. Our Texas Campaign Pack has instructions for how to fight against the $100 medical copay. We can use this information to make ourselves a little bit stronger while we struggle to overthrow the horrible social and economic system that makes such an exorbitant copay possible in the first place. Please be advised that Florida Department of Corrections has banned all MIM publications. At this time I'm not able to file an informal or formal grievance or appeal as to do so will result in immediate property and mail restriction with a stretch of disciplinary confinement to back it up. Enclosed are the latest rejection slips. En semanas recientes hemos visto los vídeos ofensivos de colonizadores atacando a gente Indígena que están tratando de proteger sus tierras de la invasión y destrucción en su tierra natal de la Nación Lakotah. La resistencia ha unido a muchas personas de "First Nation" (Primera Nación) así como también muchos partidarios alrededor del campo Piedra Sagrada en la punta norte de la reserva Standing Rock. Este es el punto donde la Tubería de Acceso Dakota (DAPL por sus siglas en inglés), actualmente en construcción, se acerca a las actuales fronteras de la reserva. Esta semana, 200 personas se mudaron, a la isla que Energy Transfer Partners (Compañeros de Transferencia de Energía) reclama, colocando su campamento de invierno en el camino a la tubería. En respuesta, Energy Transfer Partners le dijeron a la gente que estaban entrando sin derecho, que "el comportamiento ilegal no será tolerado." (1) No hay mejor ejemplo de cómo la "ley" puede ser una institución utilizada por el opresor para legitimar su poder. Cuando los colonos vinieron por primera vez a matar indígenas y a robar sus tierras, ellos declararon esta tierra "ilegal." Frazier: ¿cómo puede un Indigena asaltar físicamente a un Indigena y salirse con la suya?" Abogado U.S.: "Bueno, esto esta en tierra del Estado. Frazier: "¿Entonces eso significa que si un no-indígena viene a la tierra de un Indígena, el Indígena puede hacer lo mismo?" Las personas indígenas en Norteamérica siempre han estado en las líneas del frente del movimiento anti imperialista. Ellos fueron las primeras víctimas del colonialismo y del capitalismo/imperialismo emergente en esta tierra. Su lucha constante para reclamar su tierra es central para la re-civilización de la brutal nación colonizadora de Amerikkka. notes: 1. 26 October 2016. KPFA Evening News. 2. Under Lock & Key Issue 2.